Ozarks Coca-Cola/Dr. 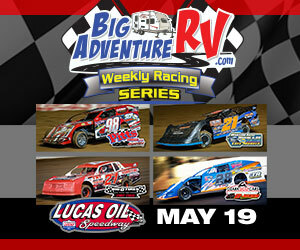 Pepper Bottling Company along with OnMedia/DISH/DirecTV team up to present round #5 of the Lucas Oil Speedway Big Adventure RV Weekly Racing Series featuring the Warsaw Auto Marine & RV ULMA Late Models, the Pitts Homes USRA Modifieds, the Big O Tires Street Stocks, and the Ozark Golf Cars USRA B-Mods. 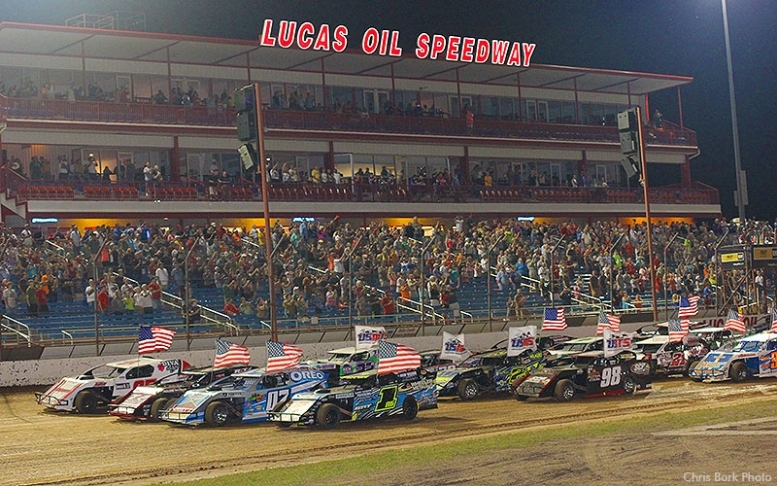 The Warsaw Auto Marine & RV ULMA Late Models will be running a special 25-lap $1,000 to win main event as the featured class of the evening.